According to reports online, Ford dealers in India have started accepting bookings for the two new variants of the EcoSport in India. Ford India dealers have started accepting bookings for two new variants of the EcoSport. 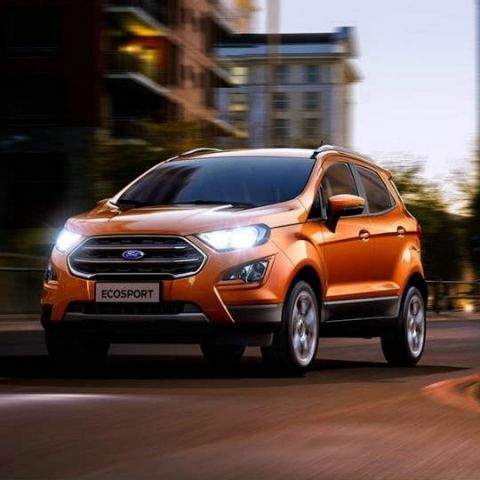 We reported previously that the two new variants were slated to be introduced some time in May, and Ford appears to be on time with the launch of the EcoSport Titanium S and EcoSport Signature Edition variants. However, Ford India has not released an official confirmation about the two new variants, which are expected to add new features to one of India's most popular compact crossovers. The Ford EcoSport Titanium S presents a bunch of new elements alongside everything that is already on offer with the Titanium trim. The biggest new element of the updates to the Titanium S trim is a six-speed manual gearbox, which would replace the presently-operating five-speed gearbox. Inside the cabin, the EcoSport Titanium S is expected to include black upholstery for the seats and the dashboard, with body-coloured inserts on the centre console and the dashboard, as well as body-coloured contrast stitching on the seats. The Ford SYNC 3 touchscreen infotainment system is retained, and potential customers will be pleased to note a factory-fitted, electronically-operated sunroof as part of this variant. Changes to the exterior of the Ford EcoSport Titanium S include a new dual-tone colour scheme with contrasting roof, and chrome rings around the dash-mounted vents. It will host a lot of blackened elements, including roof, front grille, fog lamp and headlamp trims, a variant-exclusive tyre pressure monitor and a new design and finish for upgraded, 17-inch alloy wheels. The new Ford EcoSport Titanium S will compete primarily with the facelifted Hyundai Creta, which is all set to launch soon, too. The other variant - the EcoSport Signature Edition is expected to be based on the Titanium trim, and only include visual upgrades. These upgrades will include exclusive body graphics, along with a special design for its upgraded, 17-inch diamond-cut alloy wheels, and a rear spoiler lip. The Signature Edition is expected to be a limited edition variant. Prices for either of the two new variants have not been revealed, although with dealer bookings reported to have commenced, Ford India is expected to officially announce the variants soon. About touch of Karbonn Titanium S 19. Buying first phone needs a good touch. Why Dec 2017 Collector\'s Edition does not have PDF archives? HEY, Guys it \'s the newibe. I wanted to gave review of my lenovo g50-75 (ati graphics edition).